All ages welcome. Seperate hunt areas based on age. Hunts every 15 minutes! 10,000 candy filled plastic eggs. Free activities for children and the Fire Safety House. 1,000 FREE BOOKS! 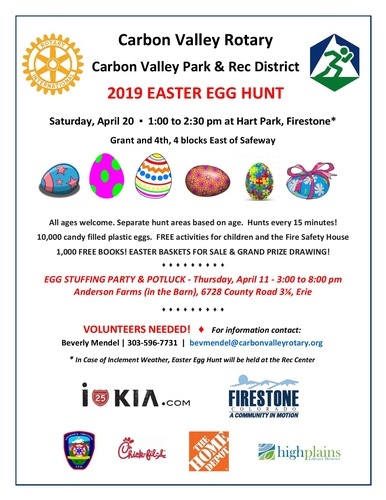 EASTER BASKETS FOR SALE & GRAND PRIZE DRAWING!